Description: A gift given to those who live… up to Dage's expectations. Must have completed the 'Hail to the King' quest to purchase. 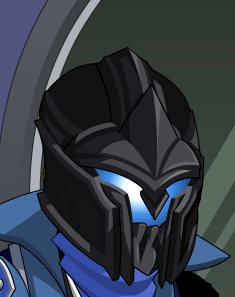 If you bought the helm before the requirements were added to the shop, you now have the Legion Wannabe Helm. Thanks to Blaeku and Rezurrect.